With so many fabulous Éminence products to choose from (and so little space on your bathroom counter), it can be tricky to know where to start. Here are the treasured classics and everyday essentials that became fast favorites in 2016. With plenty of celebrity, makeup artist and beauty editor love over the past year, these best selling products are bound to make a spectacular addition to your collection. 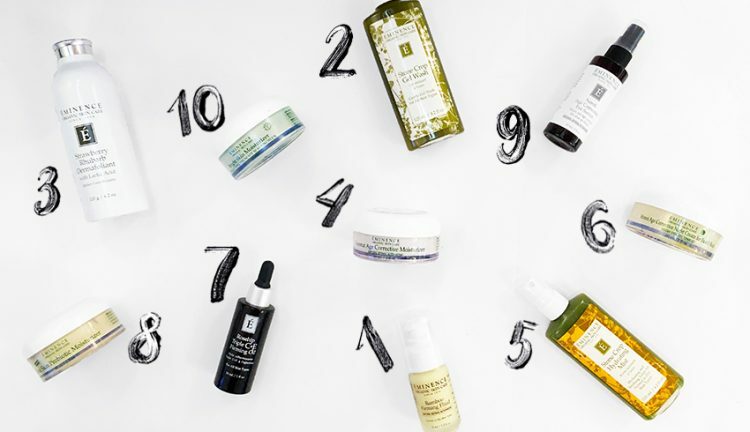 Add them to your skin care routine for a gorgeous, glowing and healthy complexion in 2017. Alanis Morissette doesn’t leave home without our Stone Crop Hydrating Mist – and neither should you! Refresh and hydrate your skin with one quick spray of this Vogue and Vanity Fair favorite – your skin will thank you for a perfectly fresh and toned complexion. Protect your skin from harmful UV rays and brighten the look of your complexion with our Bright Skin Moisturizer. Formulated with Gigawhite™, Natural Hydroquinone Alternative, stone crop, licorice root and bearberry, this daily moisturizer will give a lackluster complexion a more luminous look.